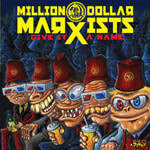 Hailing from Canada's capitol city Ottawa, the Million Dollar Marxists have already made a tremendous impact in their own country, and with the 14 tracks on "Give It A Name" they are ready to take on the US and everywhere else. 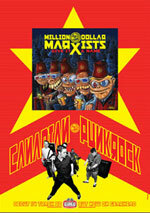 Their sound is born out of the same back alleys that created both the Detroit and New York sounds (which Ottawa is geographically between) with a strong nod to the Midwest (Pagans, New Bomb Turks) thrown in for good measure. Basically, Gearhead heard their demos, were blown away and decided that they belong on our roster; it's as simple as that.